In many ways, Soho is the historic heart of London. It’s home to the capital’s café culture, creativity, design and the evening economy. But this unique character is slowly and steadily being eroded with excess, speeding traffic. Soho, with its intimate, high density feel and narrow streets was never designed to accommodate such heavy volumes of rat-running traffic. 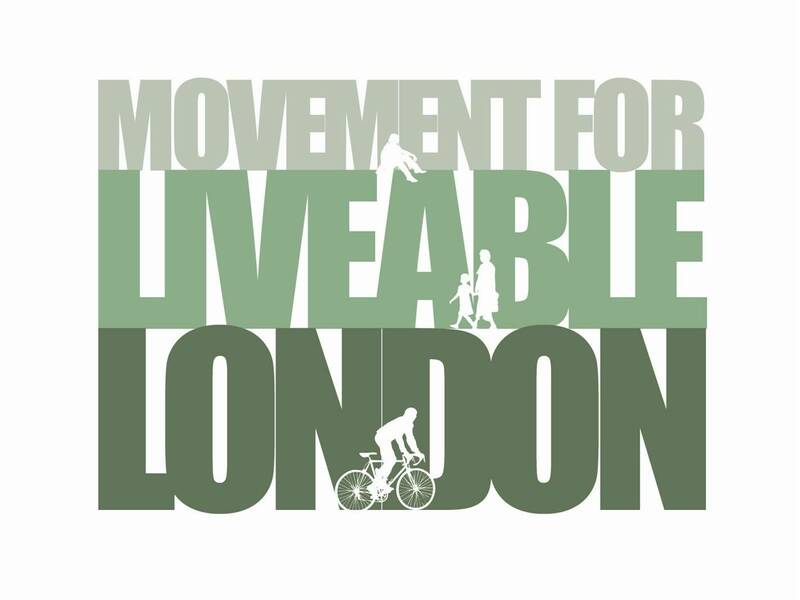 In London, we should be creating a city that we can be proud of, which is fit for 21st century life. With the capital’s population steadily increasing, creating quality environments will be key to the future success of the city. A unique place like Soho with so many opportunities deserves better treatment, to maximise its assets. For too long now, the streets and lanes of Soho have been dominated by traffic, while pedestrians have been relegated to narrow overcrowded pavements and are forced to overspill onto the carriageway. The narrow pavements make things particularly difficult for people with disabilities or those with prams and pushchairs. The area’s footways are simply not wide enough to accommodate wheelchairs. Imagine the legacy for London’s Paralympics Games if all visitors, including wheelchair users, were able to visit and enjoy Soho. The time is long overdue for equal priority to be given to pedestrians. Instead of being a quality neighbourhood, Soho has become an embarrassment to London. Every other city in the UK or indeed the world would have long since taken action to reduce the impact of rat-running traffic in such an exceptional but sensitive area. Instead of being able to relax and enjoy the area’s uniqueness, pedestrians come second to cars, forced to use narrow pavements while traffic benefits from wide lanes and 30mph speed limits, which are way in excess of acceptability in such a sensitive location. The results of all of this traffic are accident rates much higher than those expected for secondary and tertiary streets such as these. In the past two years alone, there were 44 serious traffic accidents reported to the police. Accident hot spots include Wardour St, Great Marlborough St, Old Compton St and Brewer St (Dept of Transport figures). The lifeblood of Soho comes from those who live and work here, and visitors coming to eat and drink here. The area gains little or nothing from speeding through traffic. Workers, residents and visitors to Soho are being urged to push for Westminster Council to help rid Soho’s narrow streets of some of the unnecessary traffic. A new campaign ‘Saving Soho’ is aiming for pedestrians to get the priority, instead of an environment that is dominated by traffic. Traffic calming and speed restrictions to deter rat-running. Pavement widening and kerb build outs to reallocate space in favour of shoppers and visitors. Part time pedestrianisation of certain busy areas, for specific peak times only, such as weekends, or evenings. (Both the North Laines in Brighton and Copenhagen have successfully operated such schemes for decades). Possible closure of some roads – but only to through traffic – so access remains for residents, businesses and deliveries. Reduced speed and less traffic mean fewer accidents. More space for leisurely shopping and dining means more visitors, increased turnover and more profits for businesses. Space could be available for more outdoor restaurant seating and tables. Less traffic, less traffic noise, less traffic pollution. The works could be cheap to implement, e.g. a road closure or a bollard to prevent through traffic would have minimal cost. Minimal disruption to residents and businesses. Continued deliveries for businesses (at certain times only), and ongoing access for residents would be permitted. Improved environment and quality of life. More space for al-fresco living. Sufficient access provided for wheelchair users. Soho is a designated conservation area, with dozens of listed buildings; it has a high density, “enclosed” character – unique for London. The distinctive character of Soho as a working historic neighbourhood is being eroded, and action is needed to redress the balance from vehicles to pedestrians. More details of the Saving Soho campaign are available at savingsoho.co.uk. A petition has also been launched seeking immediate action from Westminster Council to safeguard this unique area, help deliver the long overdue improvements that Soho deserves and create a city centre that Londoner’s can be proud of. In general, agreed. But arrangements should prioritise cycle traffic as well as pedestrians (permeability measures, making one-way streets two way etc). blocking cycle traffic (as at kingly st) is not a solution.